Living in the tight-knit community of Riverside Gardens, one of Kelson Group's town-home properties in Langley, BC, definitely has its benefits. Many of the residents feel the advantages of knowing their neighbours and contribute when they can to support one another. It's one of the key reasons long-time resident Elizabeth Sondrol enjoys her home. "People look out for each other. If someone sees something going on, we let each other know. I've watched the community grow over the past several years and it's gotten better and better." With a family-friendly property and room for children to play, along with close proximity to schools, services and groceries, the town-home complex at 5210 203rd Street draws people of all ages. Sondrol says that, coupled with responsive building managers, has made the location a great place to live. Fellow resident Rebecca Topnik agrees. When the single mother of four moved in just over a year ago she was overwhelmed by the kindness shown by the management. "Honestly, they are the best landlords. They respect everyone but hold people accountable. I can't say enough about how good it is to live in a place where there is such great management." Topnik also appreciates that everything in the neighbourhood is very accessible and within walking distance, and that children in the complex have green space when they want to play. "We call it the 'back 40'. My own unit backs in to a green belt right out the back door where the kids can go and play at the park. It's a good feeling." Managers Kathleen and Mark Lewis have looked after the building for the past year and have worked hard to maintain a safe environment and offer clean, attractive housing as part of Kelson Group's commitment to all its residents. "We have a very tight community here with lots of families, long-term residents, lots of pets. People here know each other and help each other." In the past few years, Kelson Group has invested in renovations including new flooring, paint, and installation of new doors, kitchen cabinets, upgraded electrical and new appliances. It has also erected fencing around the property for additional safety and security. Earlier this year, the company went through the process of having Riverside Gardens certified under the Certified Rental Building program through LandlordBC. The quality standards initiative ensures rental buildings are meeting requirements across 50 standards of practice relating to resident, building and financial management as well as energy conservation and sustainability. Kelson Group is also in the process of certifying buildings in other communities in BC. 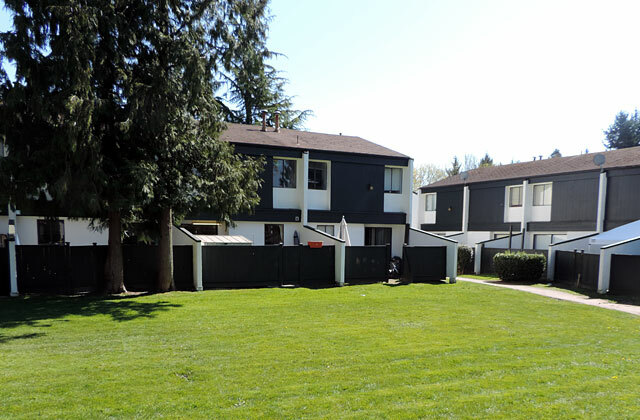 Learn more about Riverside Gardens Townhouses and our Langley apartments for rent by contacting our onsite staff today!